The exhaust ramps are identical and the photo-etch fret includes actuators to allow each flap to be posed either fully closed or fully open. There are also two side braces to be attached inside each flap. These actuators are very tiny so be careful to keep track of them. 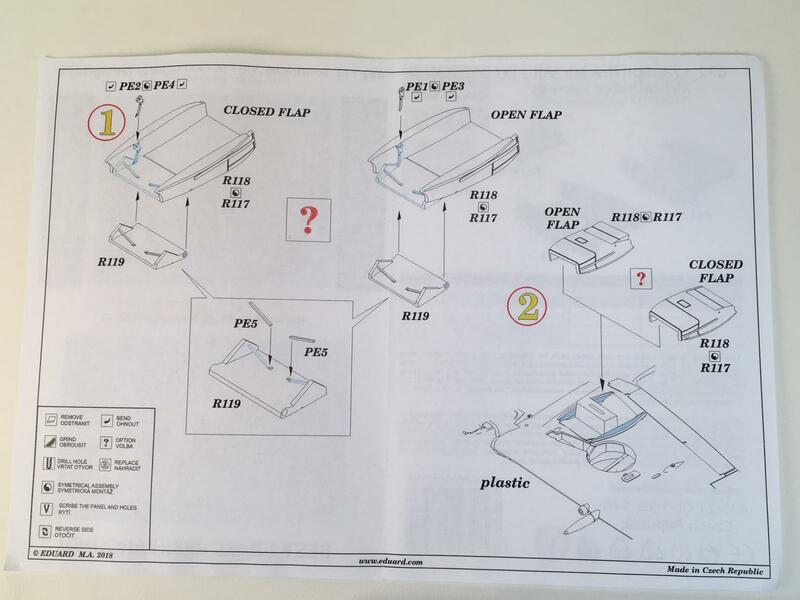 In researching the correct position of the flaps on the ground, it seems that there is no right or wrong way to attach them as some photos have them both full up, others have both full down, and some have one each way. This set is a nice upgrade for the kit parts and eliminates a couple of possible seams/joints on the underside of the wing and the tiny actuators add some nice detail. Thank you to Eduard and IPMS-USA for the review sample.